Do you service older model cars – I notice lots of new cars there when I bring my old car in? We service every type of car. It’s because we’re up with the latest and greatest (tons of training) that we can service the late model cars too. But your older car is more than welcome and we’ll give it all due care and attention. I notice you often have Ferraris in the workshop. Can I PLEASE PLEASE PLEASE use a Ferrari as my courtesy car?! 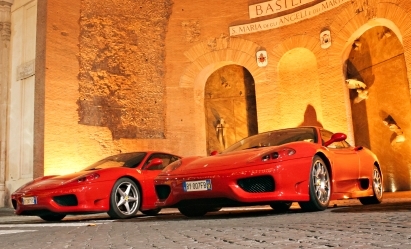 Sadly, the Ferraris don’t belong to us. We have a number of customers who bring in these beautiful machines for servicing, etc. Just pretend our courtesy car is a Ferrari and not a Commodore and that’ll be as close as we can get you – sorry. Okay Jimbo, why do you always explain to me what you’ve done on my car? I don’t understand much about what you tell me at all. It’s good to have an understanding of the specific issues with your car. It’s not just because we want to show off how clever we are. We try to tailor what we tell you to your level of understanding – obviously some people have a better grasp of mechanical issues than others. Sometimes we get this right, sometimes wrong, but we feel it’s all part of ensuring stress-free motoring for you when you know what’s happening with your car. If you have any other questions, please feel free to contact us. We will be thrilled to hear from you.